Dallas Cowboys Legend Tony Dorsett is teamed up with United Way of Metropolitan Dallas and Texas Instruments (TI) for a volunteer-led ‘STEM in the Schoolyard’ event, actively engaging students in science, technology, engineering and math education. More than 100 local fifth-graders experimented with hands-on activities, designed to inspire their imaginations and spark early interest in STEM careers. Dorsett and more than 60 volunteers from TI, Dallas Afterschool and the Dallas Arboretum lead students in STEM learning project stations. Activities included interacting with TI robots, measuring dribbling speed with basketballs equipped with TI chips, and analyzing soil and air test samples. DALLAS — United Way, along with Texas Instruments, took the classroom outside Monday for the students at Hamilton Park Elementary school for a hands on lesson in STEM education. Cowboys legend Tony Dorsett was even on hand to help the kids out. “My dad never had a chance to go to school a day in his life, but my dad was very adamant about his children getting a quality education,” the Hall of Fame running back said. Helping kids get passionate to make advances in the sciences can be a personal one for Dorsett, who is dealing with the long-term effect of concussions. The topic of safety in football is a renewed one with another community mourning the death of a high school football player, this time in Alto, Texas. Cam’ron Matthews died of an aneurysm Friday night becoming the sixth high schooler to die this year while playing football. So, while the question for parents and players becomes tougher to answer about whether they should play or not, Dorsett knows his answer, though. “If I could do it all over again, I’d do it again,” he said. Perhaps the best answer is with the kids here, blazing new scientific trails, finding a solution. Tony Dorsett assists with STEM in the schoolyard. Michael Grancea has ideas. Lots of ideas. The fifth grade student at Hamilton Park Pacesetter Magnet School in Dallas will gleefully share with you all his ideas if you ask. For example, how to combat forest fires. “You know how we build really long pipelines? We could make really long hoses, lay them down in the forest, poke holes in them so the water could spread and put out the fires,” Michael said. Michael’s teachers say his mind is always running, dreaming up big ideas to tackle the world’s problems. But they also realize the 10-year-old and his fellow students need engaging and interesting activates to keep those minds running. On Monday, more than 100 students from Hamilton Park put down their papers and walked into the schoolyard for a morning of experimentation with hands-on activities related to science, technology, engineering and math (STEM). Students teamed up with real-life engineers and technology experts from our company to interact with robots, analyze soil and air samples and build tectonic plates using Play-Doh. The event is just the latest partnership between the school, our company and the United Way of Metropolitan Dallas, with the goal of sparking an interest in STEM careers for these young and impressionable students. Some of the students, like fifth grader Niya Brooks, understand exactly what Scott told her. She knows the opportunities that come with focusing on STEM studies and working for our company, as her uncle is an engineer with us and much of her family work in STEM fields. Niya wants to do the same. 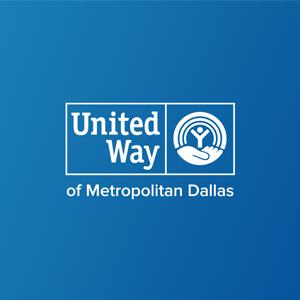 The STEM in the Schoolyard event is part of United Way’s “Unite for Change Community Impact Series,” which focuses on improving education, financial stability and health across North Texas. While the students learned a lot from the experiments they performed, perhaps more importantly, they were able to interact with dozens of TIers who exemplified how studying hard and getting good grades can result in a long and successful career. “It is important to see real people who actually work in the field and ask questions. In hands-on activities like this, they see people who really work in STEM careers and tell them what it is actually like,” said June Vo, an IT professional in ecommerce solutions. As for Michael, the reason why Monday’s event was so important can be summed up in a word: fun. “You are actually physically learning about it – and having fun doing it. You learn from having fun,” he said.